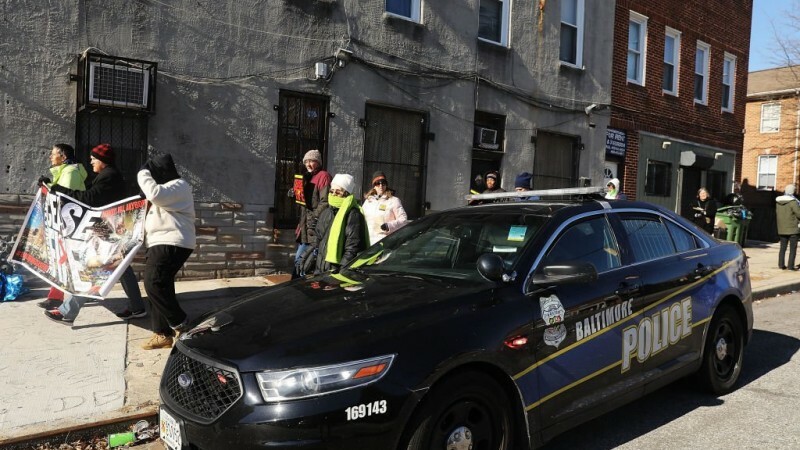 As violence spiked upward last year to make Baltimore the nation’s big-city homicide capital, the Police Department was spending $9 million a week on its crime-fighting operations. Or calculated differently, taxpayers were forking out an average of $2,915 a week in salaries, equipment and overtime for every one of the 3,100 civilian and sworn officers employed by the force. These calculations were arrived at courtesy of a biennial audit released today to Mayor Catherine Pugh and the Board of Estimates. Baltimore Police spent $940.2 million in FY 2016 and 2017, according to city auditor Audrey Askew. This period coincided with the last 17 months of the Rawlings-Blake administration and the first seven months of the Pugh administration. During this period, homicides escalated to a record 342 by the end of 2017, up slightly from 318 killings in 2016. As of last Saturday, the 292 homicides reported so far this year were down 10% from the same period in 2017. A top-heavy bureaucracy and BPD special units consumed 24% of 2016-17 spending. The audit, performed as part of a biennial audit program mandated by voters in 2016, included no analysis of the spending numbers it relayed in two charts. According to the charts, BPD spent half of its FY16-17 budget on patrol or $469 million. As a core function of law enforcement, most police departments try to allocate at least 60% of their budget to patrol. Because of systematic shortages in the patrol division, many Baltimore officers are placed on mandatory overtime, which inflates the costs of the division. BPD’s top-heavy bureaucracy and special units consumed 24% of 2016-17 spending. That amounted to $125 million going to “administration” and $97 million headed for special operations, including SWAT and units targeting violent crime. “Right now, there aren’t enough patrol cars to cover the districts” – BPD officer. Crime investigations cost nearly the same as special operations ($96 million). Other major drivers of BPD expenses were the crime lab ($24.7 million), police recruiting and training ($24.5 million), crowd control, traffic enforcement and special events ($21 million), management of evidence and records ($17 million), internal affairs ($15.7 million), 911 communications ($16 million) and homeland security intelligence ($15.8 million). The 17-page report was heavily weighted to a discussion of the department’s handling of federal, state and private grants dating back to 2003. Askew criticized how BPD and the Finance Department recorded the grant activity, while Henry Raymond, director of Finance, faulted Askew’s characterization of the deficiencies she found. Askew said she would not hand the department a clean bill of health because of an outstanding $3.8 million grant balance deficit and, instead, BPD was given a “qualified” audit opinion.